Dark Alley Press, 9781946050014, 190pp. The past has a horrible habit of haunting us all. Sometimes it surfaces in regret and a lifetime of what ifs. Sometimes, it is horrors made real in other-worldly beings hell-bent on revenge for wrong-doings. From grieving, betrayed lovers to guilt-born demons, those that haunt the characters in these stories crafted by our authors bring pain, heartache, stunning revelations, and a stark reminder that the past will never die. 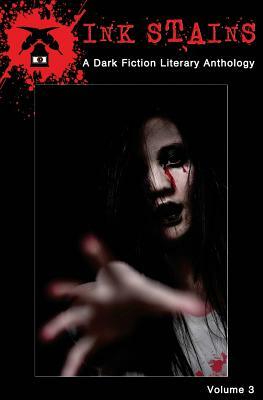 Ink Stains, a quarterly anthology of dark fiction and horror published by Dark Alley Press, is about shining a stark light on the shadows of life, exploring those dimly lit corridors, and unearthing those long-buried secrets. We don't believe good will always triumph over evil or that someone will always be around to save the day. Sometimes all we have is ourselves. And the stories that keep us turning the page.